The medieval merchant or academic should appear illustrious. Come and look distinguished in the Rudolf Canvas Coat to impress your fellow cohorts and enemies. 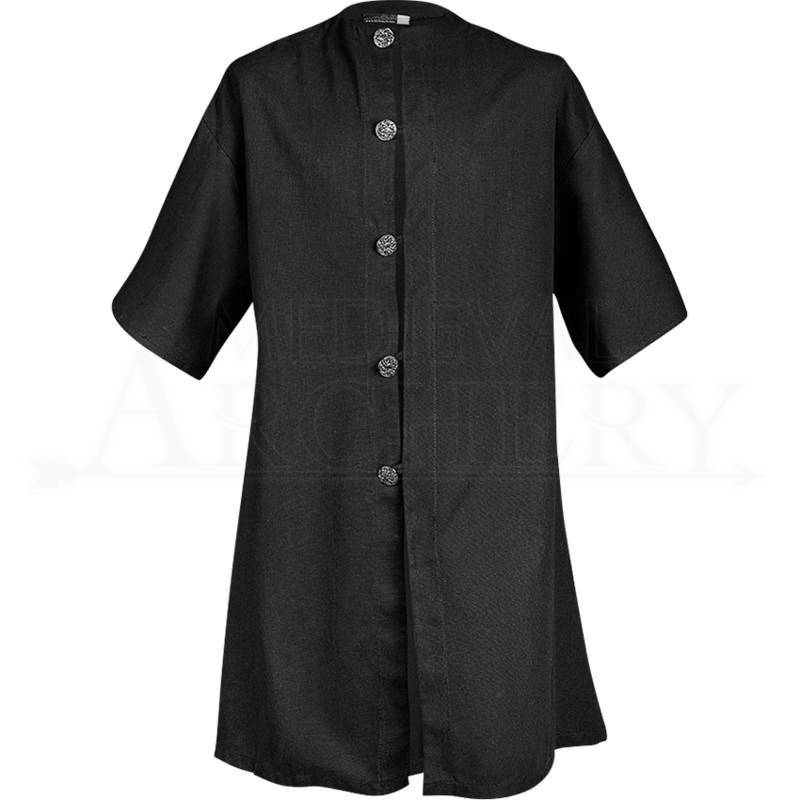 Unisex in four colors, a historical reenactor can wear this canvas garment with pride. An elegant design accents the five buttons which close the jacket with loops. The medieval coat buttons from the waist up and is open below. Part length sleeves can show off garments underneath for versatile layering. 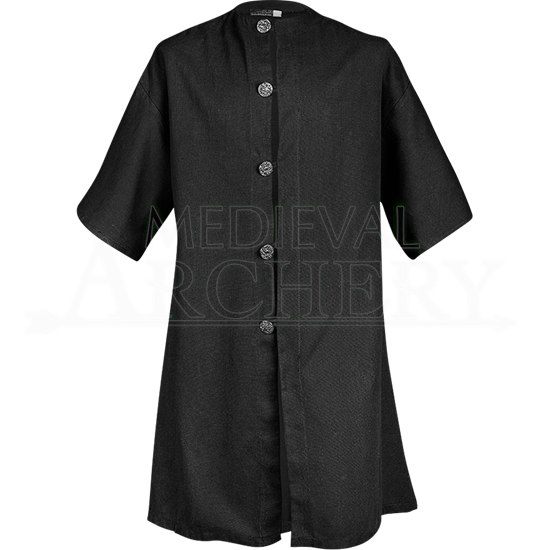 It is ideal for attending a medieval faire, fantasy convention, or stage fight.